Can I Grow Hydrangeas in Zone 6 for Cutflowers? I have a well drained 7 acre field that I'd like to grow Hydrangeas for cut-flowers. I realize I'll only have blooms for apx 3 months of the year however I believe I can sell the stems in that short window. Am I wasting my time? Hydrangeas do well in zone 6, so I don't see why you could not. 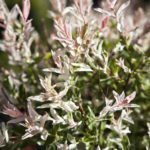 I would talk to a reputable local nursery about the best variety for your area, though. While most hydrangeas do well in zone 6, some hydrangeas do better in some kind of conditions than others. 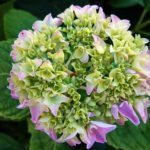 Plus, you will need to take into account that your will be growing them in full sun conditions, which some hydrangea handle better than others. A local nursery will know what is best for your area.